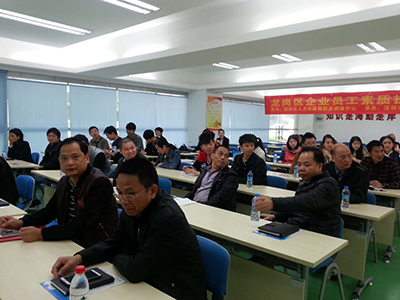 A significative and helpful training lectures were hold at Lianchuang Science and Technology Park on Dec.31.2015. 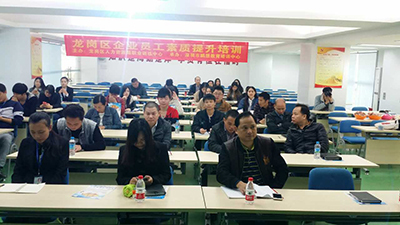 On the last day of 2015, all the staffs of Xuezhiyou Technolgy Company went to the lecture and accept traning. 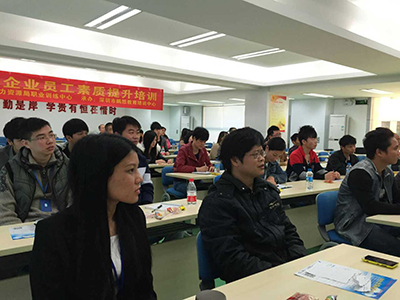 The theme of the lecture is team spirit and team communication. 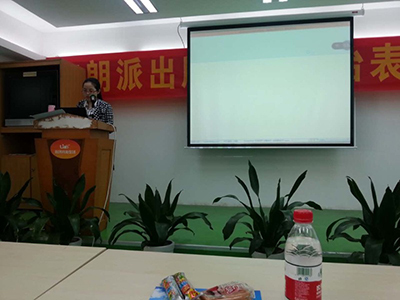 Teacher Miss Fang, who is the famous instructor from Peking University, had designed a series of activities during the training. She played some short video and lead us to think about the deeper meaning behind the video. She also organized some little game to liven up the atmosphere. On the other hand, colleagues realized the importance of team spirit and promoted the relation between each other during the special teamwork game. When the colleagues coordinate with each other very well, they can win the game and get reward. If they can't deal with this problem, they may lose the game and get a punish. After this activity, staffs had know the importance of communication. After a daylong training, all the staffs reap a good harvest. It was really a significative experience.